Tickets to the annual Bite Me Cancer Wine Dinner are now available. The dinner, which begins 5:30 p.m. on April 6, is a fundraiser for the Bite Me Cancer Foundation, a nonprofit that provides supports for teens undergoing cancer treatments. The adults-only awareness event at the Westwood Country Club in Vienna, Virginia, raises money for several foundation programs, including the more than 5,700 Teen Support Bags given out since its founding in 2010. Each bag is $65 and includes a stress ball, a Bite Me cancer baseball cap, a journal for writing and drawing, a water bottle, an Amazon gift card, an adult coloring book, a game book, a Bite Me Cancer car magnet and more. The April 6 event will include catered dinner, wine and an array of auction items for more than 200 guests. 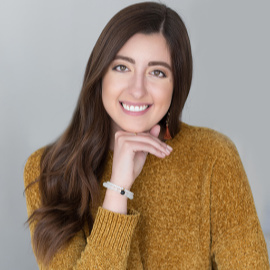 Cancer survivor Nikki Ferraro founded the organization during her own experience fighting thyroid cancer at 17 and will deliver the keynote address at the dinner. Ferraro calls teens in cancer treatment a “hidden population” with special, age-specific needs. Ferraro said it’s important to support teens who can feel out of place in either a pediatric ward with young children or an adult wing where they may not receive as much support as they need. Teen Support Bags are filled with age-appropriate items teens can actually use and that send the message they are not alone, she said. To date, Bite Me Cancer has distributed support bags through its hospital partner network of more than 115 hospitals in 46 states and the District of Columbia, raised about $820,000, funded six thyroid cancer research grants, delivered dinners to families of teens with cancer at the Pediatric Oncology floor of INOVA Children’s Hospital once a month for several years, and worked through the Virginia General Assembly to designate the third week of January Teen Cancer Awareness Week. Ferraro said the organization hopes to raise enough money this year to fund another research grant as well as expand the reach of the support bags to hospitals in all 50 states. The Foundation will provide tickets free of charge to cancer survivors or parents of teens with cancer to attend the dinner. Sponsorships to pay for those tickets can be made here. As for Ferraro, her medical condition is stable and she continues taking oral chemo treatments daily.